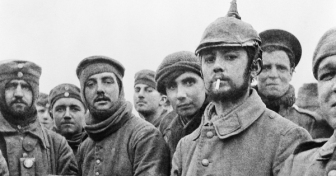 That “little peace” was brief, yet what is captured of it in soldiers’ letters and diaries makes amazing reading. In this programme, Nelufar Hedayat hears accounts of men who were there, and what their experiences mean to their grandchildren and great-grandchildren today. She finds out how children respond as they hear the story for the first time, visits the place in Flanders where the Christmas truce took place, and separates fact from the myths that have grown around those events in 1914. And she is in the stands at an international youth football tournament in the Belgian town of Ypres where 11-year-olds from both sides are recreating the kick-about on the battered land above the trenches. This podcast was a finalist in the Jerusalem Awards 2015. It’s a pity they all didn’t just go home after the truce ,what a waste of humanity either side did not want to fight, the Germanic people are distant cousins to British people . We have more in common with them than most other European peoples ! !